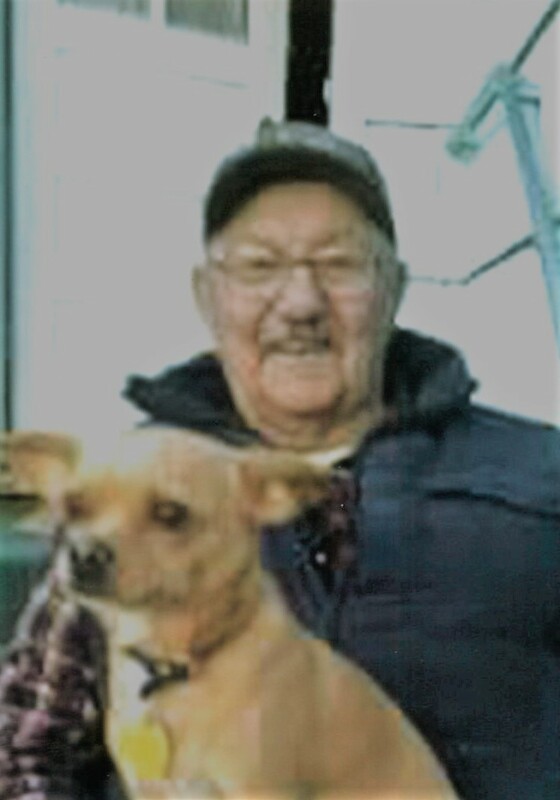 MALTA-Melvin Harold Sandvick, 79, retired Phillips County Road Department and Hillside Cemetery Sexton, passed away at the Advanced Medical Hospital in Billings, on April 12, 2018 due to severe head trauma. The family will receive friends at 7:00 P.M., Thursday, April 19, 2018 at Kirkwood Memorial Chapel. Funeral services will be 11:00 A.M. Friday, April 20 at the Kirkwood Memorial Chapel. Lunch will follow the services at the V.F.W. Club. Interment will be in the Hillside Cemetery in Dodson. Condolences for the family maybe left at www.kirkwoodfuneralhome.com. Harold, as he preferred to be called, was born in Malta, MT on November 4, 1938 to Martin and Hazel (Krumweide) Sandvick. He served in the U.S. Army from December 1961 until November 1962 when he received a Hardship Discharge to return to the Ranch. Harold was the only son and had four sisters, Betty, Sandra, Violet and Sharon. Harold married Betty Peterson in 1966 and together they had nine children. He worked on the ranch in South Philips County, Regina, MT until 1976, at which time he moved his family to Malta. They then moved to Dodson where he worked for the county road department and as the Sexton for the Hillside Cemetery for 20+ years. He retired from the county in 2000. He enjoyed fishing, hunting, spending time with his children, sitting on his porch listening to his eight-track player while having a drink with his friends. In later years, he enjoyed taking drives in the country with his dog, Chico. Harold would give the shirt off his back for anyone who needed it. He enjoyed doing odd jobs for people such as sharpening chainsaws, fixing vehicles or whatever people needed. Harold was a happy-go-lucky person, with a hello and a smile. Survivors include his children, Yvette (Dave) Hurley of Tucson, AZ; Mellissa Sandvick of Kalispell; Elizabeth (Colin) House of Columbia Falls; Christopher (Lindi Campbell) Sandvick of Malta; Nathaniel Sandvick of Columbia Falls; Yasmine (Chris Weigand) Sandvick of Kila; Levi Sandvick of Malta; Karessa Sandvick of Malta; and sister, Betty Crestman. Grandchildren, Lance (Amanda) Walsh, Zach Gard, Danielle Gard, Aspen Baker, Fritz Laos, Isabella Laos, Jordanne (John) Lyon, D.J. Southwick, Marissa Sandvick, Vanessa Mann, Valin Sandvick, Bostyn Marshall, Carrera Hilton, Dayton Hilton and Sequoia Weigand. Great-Grandchildren, Addyson Gard, Ryder Walsh, Colt Walsh, Jean Lyon and Jeffery Lyon. So sorry for your family's loss. I know your pain. Will be thinking of you all. condolences go out to Harold's family. He was a good neighbor and always had a wave hello and a friendly smile. He will be missed by all who knew him. My deepest sympathy to The family..he was a very nice man, glad I got to know him. Enjoyed visiting him. Prayers to his family. Guest book submissions may be made using the link to the left.